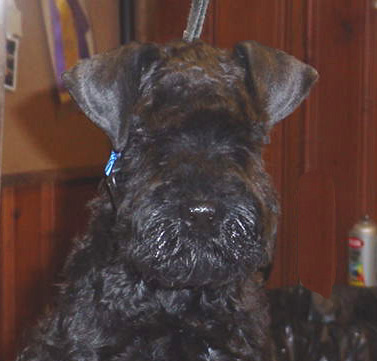 On Jan. 27th Paxon's Lord of the Ring, "Rohan", owned by Chad Caroll, is awarded WD,BW,BOS from the 9-12 month puppy class! Congratulations!!! "Indy", Ch. 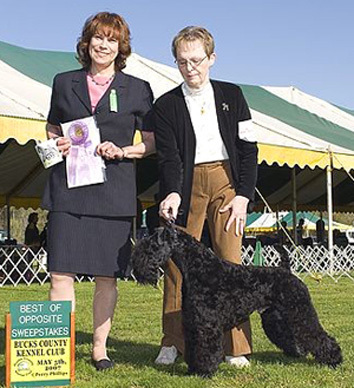 Paxon's There's No Question, wins Best of Breed at the Sun Country Terrier Club show, which was also a supported entry by the USKBTC! 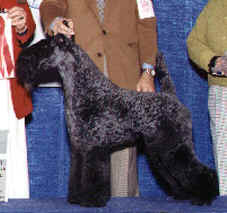 The next weekend "Indy" wins the Breed both days at the Canada Del Oro KC . Congratulations to NEW Ch. Moonstruck's Beau Geste. 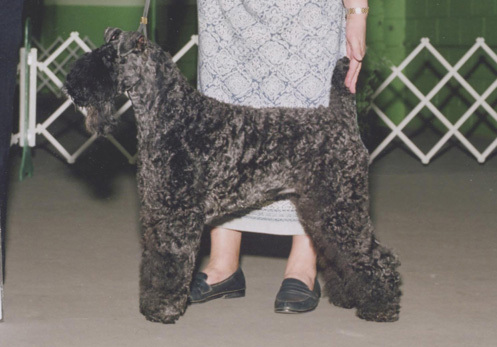 He is the 28th champion for our Ch. KitEhawk's Black Tie Affair, "Tetley". 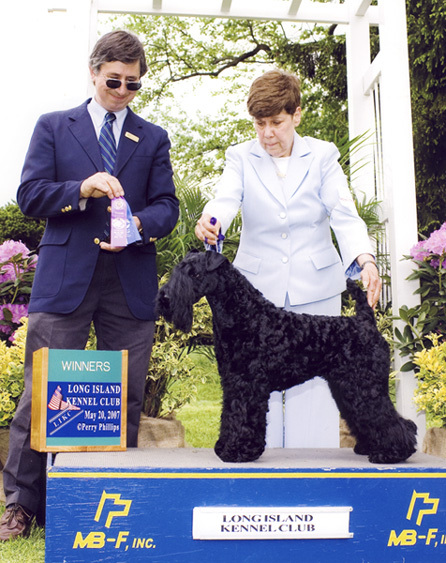 At the Long Island Coalition of Dog Fanciers annual match, 7 month Paxon's Darragh, "Dora", steps into the ring for the 1st time & is awarded Best of Breed puppy & then went on to win the Puppy Terrier Group!!!! 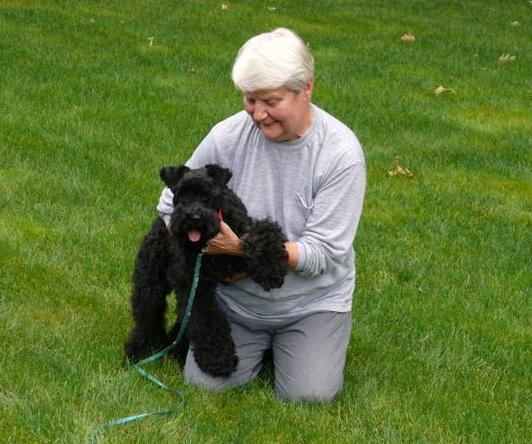 On May 5, at the Philadelphia KBT Specialty, held at Bucks Co KC, Paxon's Ode to Dingle Bay, "Patrick", is BOS in Sweeps, owner handled by Bob & Emmie Jones!!! 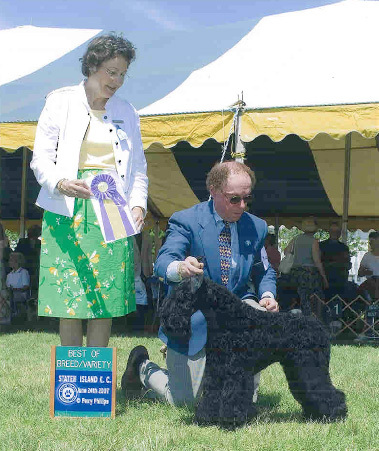 At the Brookhaven Match show, May 13, Paxon's Duncan Macleod, "Shadow", owned by Elaina & Scott, is awarded Best Adult Kerry & Adult Terrier Group 1!!! 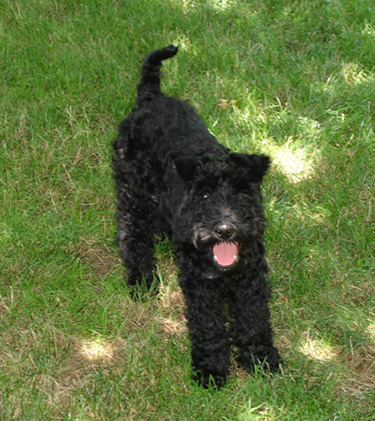 Paxon's Tuilelaith, "Tillie", at just 4 months old, is awarded Best Kerry Puppy & Terrier Puppy Group 1!!! 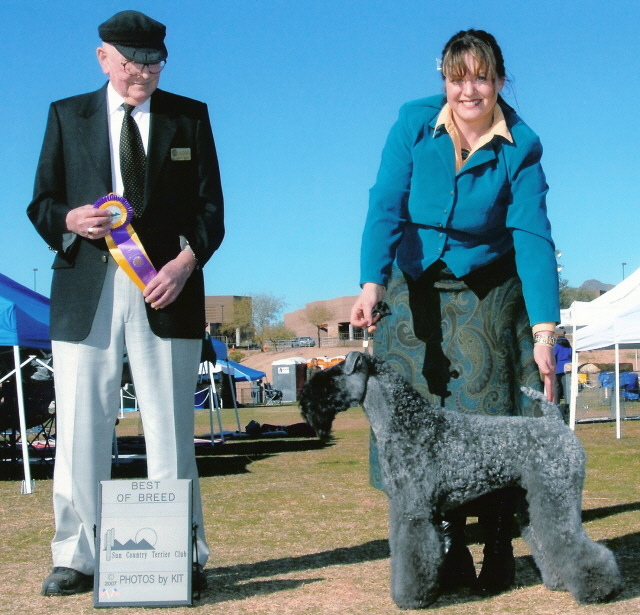 Empire Kerry Blue Terrier Club had it's Specialty on May 19,with Ladies KAA, & Paxon's Darragh, "Dora", is awarded Best in Sweepstakes, then on to Best puppy & Puppy Terrier Group 1!!! 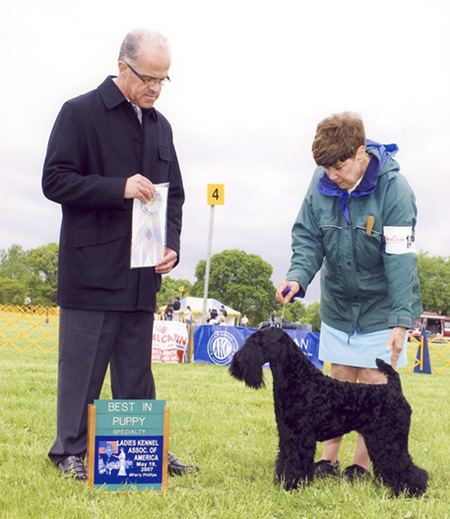 The next day, "Dora" is awarded WB,BW from the 6-9 puppy class!!!! 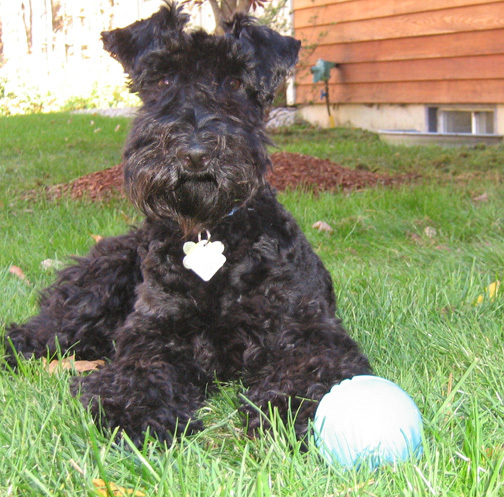 On June 9, at the Mount Pleasant MI KC, Paxon's Lord of the Ring, "Rohan", gets the nod for WD from the 12-18 month puppy class!! 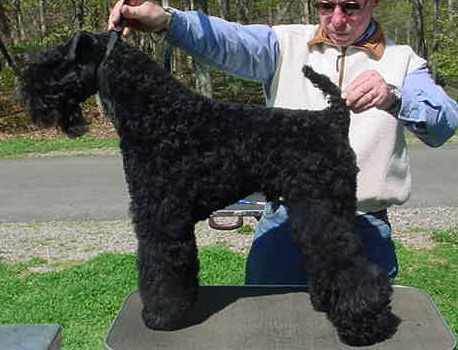 On June 10, at the Wheaton KC, Paxon's Celtic Woman at Kilkee, "Nuala" is WB, BOS, owner groomed & handled by Judy & Peter Lamken!!! 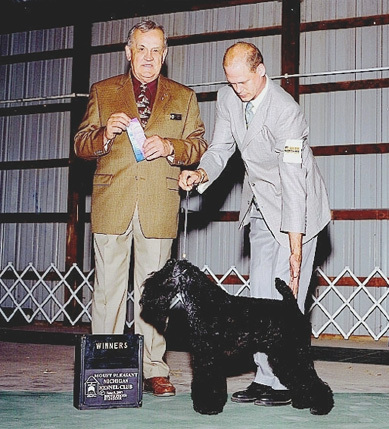 At the Staten Island KC, June 24th, Paxon's Duncan Macleod, "Shadow", is WD, BW, & Best of Breed!!! Paxon's Darragh, "Dora" is WB, BOS!! 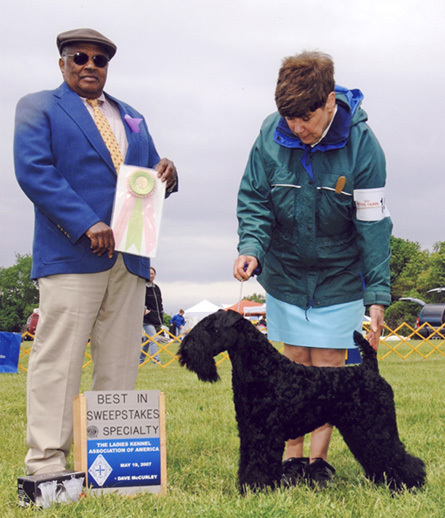 "Patrick", Paxon's Ode to Dingle Bay, heads to MD, to the Upper Marlboro KC on July 7 & is awarded WD, BW & Best of Breed over a Special (from the 12-18 month puppy class) for a major!!! "Patrick" was owner handled. 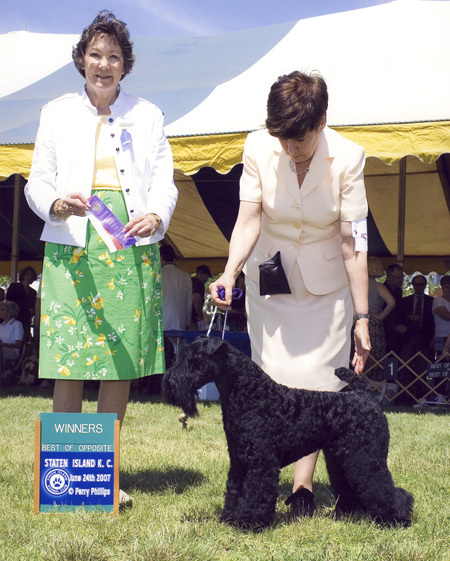 "Dora" travels to New Jersey on July 15th to the Twin Brooks KC, & is awarded WB,BW, & Best of Breed (from the puppy class)!!!! On July 28th, at the Long Island KC match, "Rumor", Paxon's Rumor Has It, steps into the ring for the 1st time & is awarded Best Terrier Puppy, then on to Best Puppy in Match, & then ALL THE WAY to Best in Match (at just 4 months old)!!!! 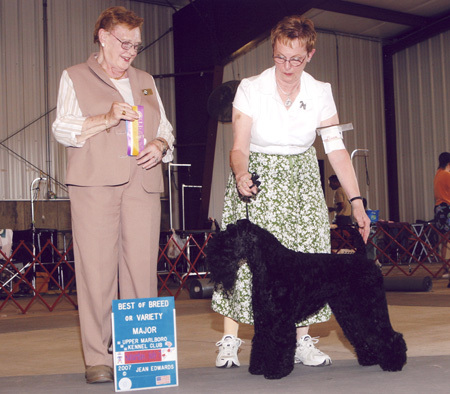 At the Waukesha Kennel Club, on July 29th, Paxon's Lord of the Ring, "Rohan", is WD,BW from the 12-18 month puppy class!! Suffolk Co. KC, held it's Match show on Aug. 12, & the kids did well! 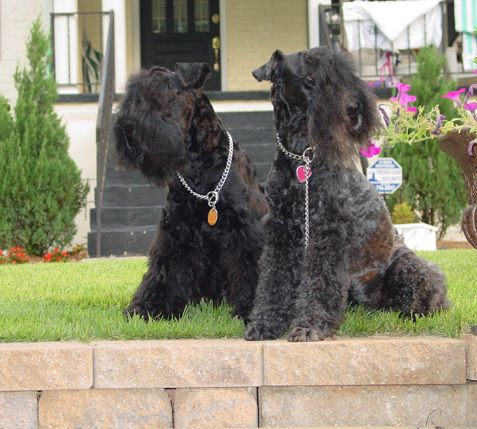 "Rumor" is awarded Best Terrier Puppy & "Dora" is awarded Best Terrier Adult!! K-9 U held a fun match on Sept. 16th. 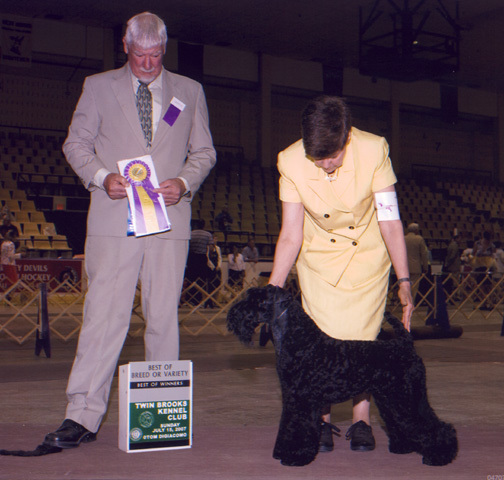 "Rumor" is awarded Best Puppy in Match!!! 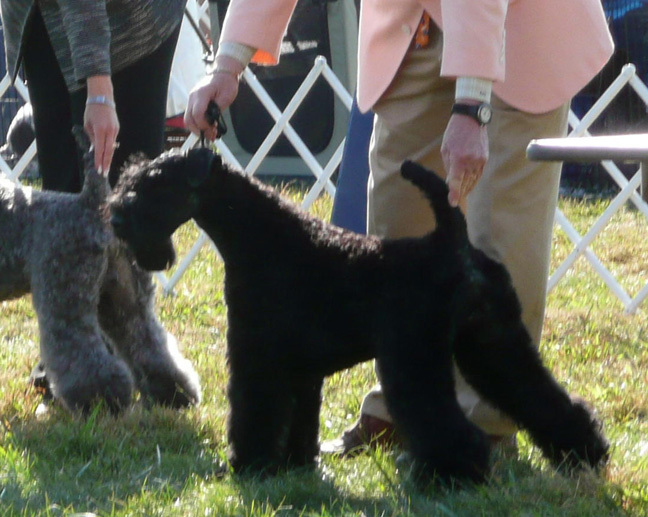 Our 1st Montgomery Co. in 8 years & our 6 1/2 month old "Rumor", Paxon's Rumor Has It, wins the 6-9 month puppy class!!! 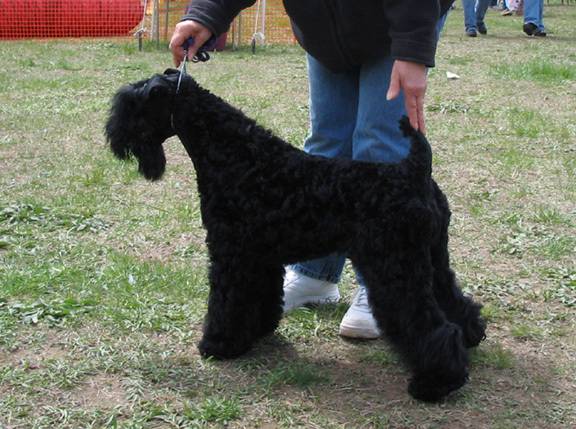 The following weekend, Oct. 13th, Paxon's Darragh, "Dora", heads to NJ & Palisades KC, & is awarded WB,BW, & "Rumor", Paxon's Rumor Has It is WD, BOS!! Congratulations to Ligia & Miguel Alfonzo's Venezuelan,Libertador,International and Latin-American Ch. Paxon's Grey Sovereign, "Grey", now with 4 titles at just 18 months old!!! 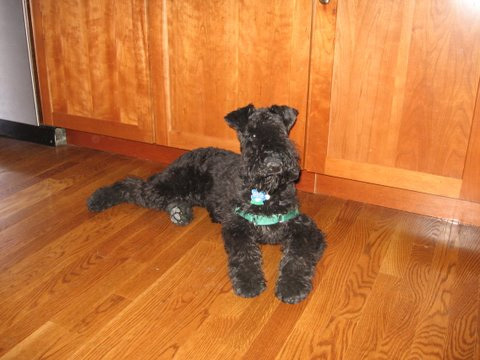 Paxon welcomes the newest member to our "clan", "Junior", who is a son of our late, Top Winner & Producer, Ch. Paxon's Dancer's Image. (1981-1994) x Ch. Paxon's There's No Question. 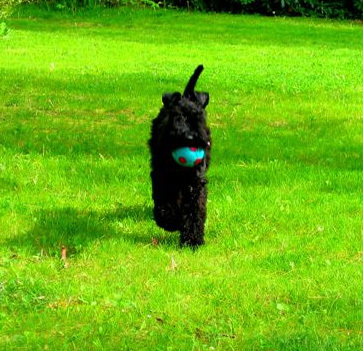 We have high hopes for this promising boy! 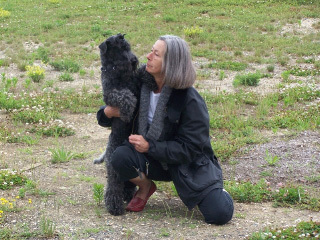 Paxon's Celtic Woman at Kilkee, "Nuala" is WB, BOS at the Starved Rock KC on Dec 13, owner conditioned & handled!!! 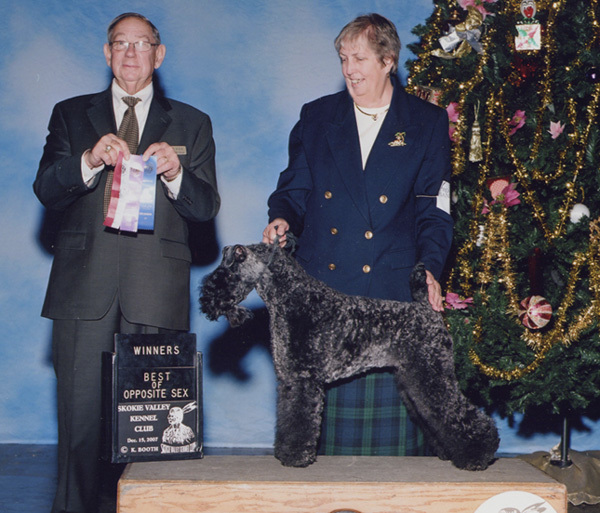 "Nuala" repeats her wins at the Skokie KC, on the 15th of Dec., going WB, BOS, once again groomed & handled by her owners, Judy & Peter Lamken! !